We recently had the chance to chat with Megan Golden about her debut EP, managing her career, and where she finds inspiration. Growing up in Nashville, Megan Golden found herself constantly surrounded by incredibly talented people, and couldn’t help but fall in love with music. With her family by her side, Megan had the emotional support she needed to launch in to music at a fairly young age. She started writing and performing at 15, and by 16 had a regular weekly slot at The Nashville Palace. “The experience I gained playing there was so vital in getting me to the point where I felt more comfortable on stage,” she explained. 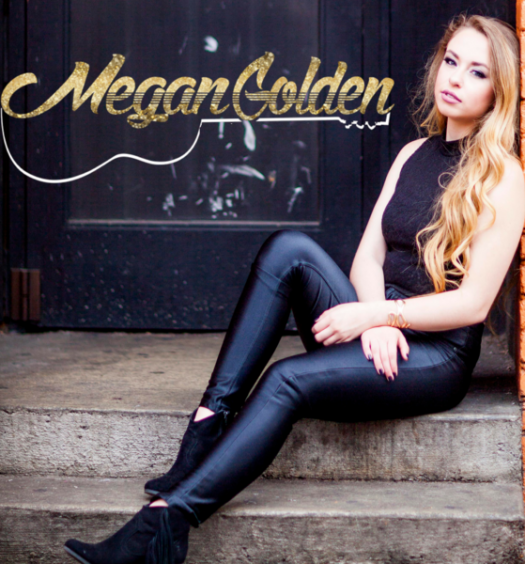 Megan has since had the opportunity to perform on some legendary Nashville stages including the Bluebird Cafe, the Commodore, the Basement and the Row. Megan also opened for Drake White at a special songwriters night at the Sutler to benefit Tennessee Voices for Children. For all of the latest news and updates on Megan, head over to megangolden.com.